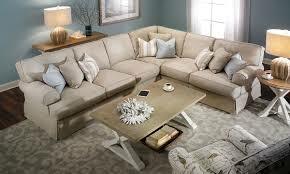 Homestretch Furniture Reviews - Founded 2010, Mississippi Born! / Homestretch Furniture Reviews – Founded 2010, Mississippi Born! Homestretch Furniture Reviews – Founded 2010, Mississippi Born! Last Updated March 24th 2019: If you’re looking for furniture, you’ll quickly find it’s a crowded marketplace. There are a lot of companies claiming to be offering the best furniture around with unlimited styles and options to choose from. Of course it’s great to have choice, but too much can make it difficult. In this Homestretch furniture reviews you will learn about this companies history and founding, you will learn about homestretch's types of furniture, their furniture quality, and their furniture warranty policy. There are old companies who have been around a long time and younger more innovative companies coming through to compete. Homestretch is one of the younger companies that is growing fast. With well made and innovative products they’re being seen in more homes across the country and are definitely one to look out for. Homestretch have been operating since 2010 and are based out of Mississippi. A true American company they’ve worked hard and grown fast so now they can be seen across state lines all over the U.S. They were founded with the mission of providing stylish seating at incredible value and their product range reflects it. Homestretch was founded by veterans of the industry who have a lot of experience designing and crafting furniture. This expertise can be seen in their attention to detail with their units offering some great features that can’t be seen elsewhere. Behind the Homestretch collection is the idea that everyone deserves good quality furniture without the ridiculous price tag. Over the past 7 years they’ve developed their product selection and now they offer something for every home. If you are looking for another brand that is in a similar price range, then I would suggest you take a look at Vanguard Furniture, because they have been putting out some great pieces in the past few years. Homestretch make a lot of different products but specialise in the living room range. They appreciate the value of comfort and know that everyone needs an escape from the stresses of daily life. It’s more important than ever to give you and your family the relaxing comfort they need when they get home. 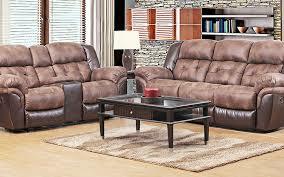 The Homestretch collection includes, sofas, loveseats and sectionals but their speciality is in reclining furniture. Recliners are the stereotype for American relaxing and the reason is because they’re so effective. Comfortable seating fitted with specialised mechanisms allow for a range of movement. It’s the ultimate way to kit out your living room and if you haven’t tried it yet then now is the time! 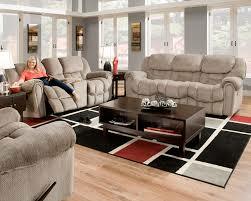 Homestretch are most well known for their recliners and have quite a lot to choose from in their range. There are a lot of different options to look at when choosing your recliner, but we’ve identified the most important factors to help you narrow it down. Style is obviously an important factor when choosing your recliner. There are various styles to choose from including modern, traditional, classic and contemporary. Each of these offers different style choices and unique frames that give a different feel to your recliner. The key to choosing the right style is finding one which compliments your home and doesn’t stick out like a sore thumb. Fabric is another important consideration when selecting your recliner. There are a lot of different fabrics to choose from which have their own feel and this makes a big impact to the unit. 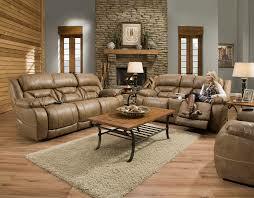 A traditional choice is for leather which offers a classic look and is very comfortable. It can be slightly more expensive but it offers more protection from wear and tear. In our opinion leather is the way to go but it depends on your personal preference. Size is also important because you need to work with the space available. 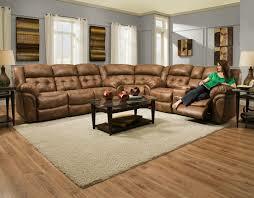 Having a great big recliner to relax in is great, but you don’t necessarily want to take up the whole living room. Similarly colour is another key choice. You’ll want to find a colour which brings the room together and makes it look like the recliner belongs. If you don’t take the time to consider it then you might find that the chair that looked good in the showroom doesn’t look at good in your home. Perhaps the most important choice with recliners is the mechanism. There are a number of different motion options available and each give a different movement. The most popular is the recliner which lets you lean back, but you can also choose a swivel, lift or power recline option in your chair. This lets you relax your way. The choice offered by Homestretch is impressive and while the collection does feature more traditional recliners you’ll find a lot of modern and stand out pieces too. It’s worth checking online and seeing the whole catalogue so you have a good idea of what’s on offer. While a lot of companies have decided to move their production overseas to China in an attempt to lower costs, Homestretch have kept everything in the States. This lets them oversee the production and keep skilled American craftsmen making the furniture. The frames of the Homestretch pieces are made with an all-plywood frame, and solid, one-piece arm frames secured with mortise and tenon joints. This has been selected by experts to create a sturdy and durable unit which provides reliable support. The reclining mechanisms have been made with the latest technology and the all-steel reclining mechanism is forged of 7/8 gauge components in high-stress areas, capable of supporting up to 350 lbs. This means a stress free and long lasting mechanism. With extra padding in the arms and around the cushions, the recliners are made to be super comfortable and provide ultimate relaxation. Homestretch have shown they know what people want in their recliners and have made intelligent decisions when it comes to materials and construction. There really is nothing like American craftsmanship when it comes to furniture and Homestretch have shown that they know how to produce consistent and reliable furniture. Alongside several instructional videos and guides on how to take care of your furniture, Homestretch offer a warranty to cover their products. This covers all frames for one year, and a lifetime cover for all reclining mechanisms. This covers all workmanship and labour defects but always speak to your local dealer about the specifics. Homestretch are getting a mix of reviews online and unfortunately their quality seems to have dipped in the past few years. Several reports of poorly constructed units have led to some unhappy customers who are very vocal about the problems. While there are some reports of problems a lot of other customers seem very pleased with their purchases. They support the brand and wouldn’t think about going elsewhere. On paper Homestretch seem like one of the most reliable brands around but you should always be careful. Try and go for their more expensive product lines where possible which are more durable and be sure to check any products thoroughly when they’re delivered. That being said if you are looking for a cheaper more affordable option while still having decent quality I would suggest taking a look at Bel Furniture! Overall Homestretch seem to be doing a good job with some well designed and well made pieces which add value to the home. So if you’re looking to stretch out and relax without overstretching your budget then Homestretch are definitely one to check out.